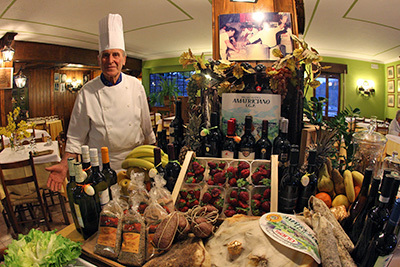 The chef Gabriele Perilli, his wife Giuditta Rubei and their sons are delighted to welcome you in a warm and familiar. 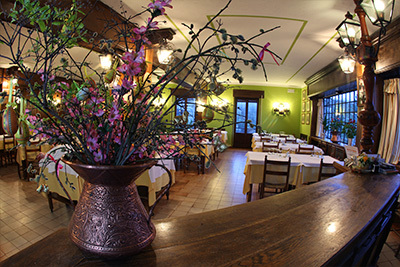 The restaurant "La Conca" has an ancient culinary history, carried out by the ability to select Gabriel, who with wise experience every day, always fresh, local ingredients. The menu never fails, in addition to the classic Amatriciana, excellent grilled meat on Tuesdays and Fridays you can enjoy excellent fresh fish. Elizabeth Perilli will make you enjoy the best homemade desserts, such as his famous chocolate mousse, which alone is worth the trip! The venue also lends itself to accommodate small ceremonies, parking is available for guests and a lovely garden where you can relax looking at the view of our mountains. Open for Lunch and Dinner Tuesday to Saturday. Sunday only for Lunch. Monday all day closed. Tuesday and Friday available fish only with pre-booking.